Late July 3rd, I returned home from hanging out with harpists at the American Harp Society national conference in Atlanta. On top of a stack of mail was a small cardboard box. Tired as I was, I ripped it open and held a proof copy of the paperback edition of Ellen the Harpist for the first time. The e-book edition and my claim to being a published author were six days old. But the physical copy of the book made it feel tangible, believable. I really had written a book! And that’s what everything I’ve been doing for the last 3+ years (writing, researching, website building, blogging, social media-ing, etc…) has been about. A 5×8 inch, 342 page book. So worth it! Officially, the release day is Tuesday, July 19. Unlike the e-book, however, I couldn’t set a release date. When I approved the book on the 12th, I was told the book wouldn’t appear on Amazon for 3-5 business days. 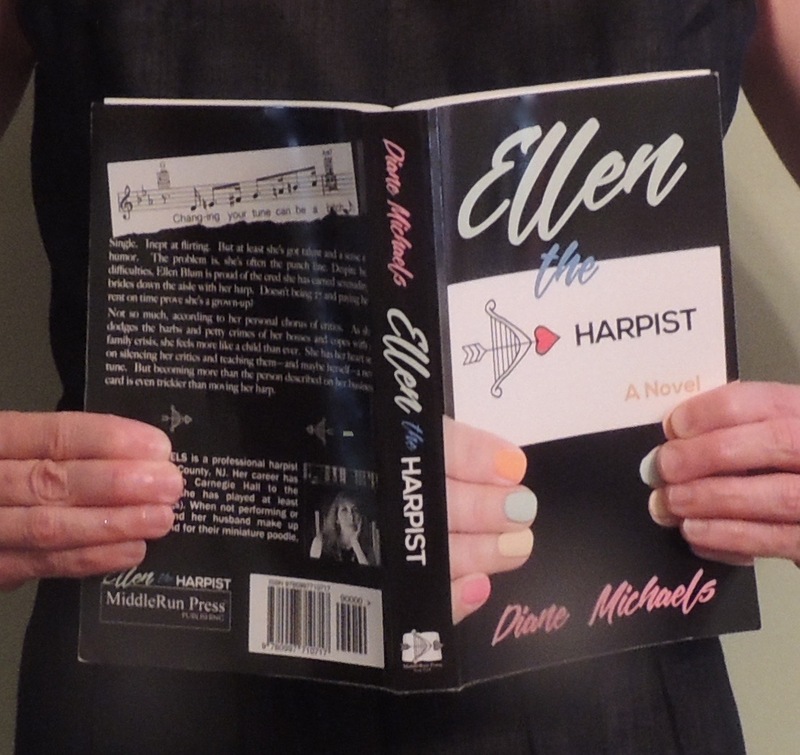 Things move fast in the digital world, and the paperback edition of “Ellen the Harpist” went live on Amazon on the 13th. Shhh… you’re the first to know this! On the Amazon page, you can read a sample, view the back cover, read the reviews that are pouring in (well, two, so far! ), and if you are so inclined, make a date to bring Ellen home with you. I can’t wait for you to meet her!